1. Come visit Barnesville - where Hyenas rule and nothing is ever forgotten or forgiven. 3. 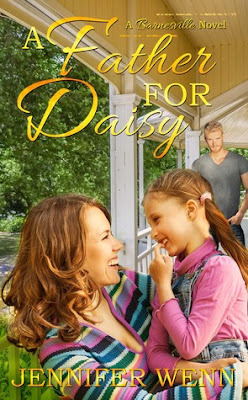 Just when she thought she had her life in order, Gillian was dragged back to Barnesville to face her old friends, her dying mother and the man she never forgot. This was home to her. Not this house. Not the woman upstairs. No, it was these two wonderful, warmhearted people next to her that meant home to her. Andrew, her best friend, who had always been there for her and whom she knew she could trust with anything, and Alma, the warm, motherly woman who without second thoughts had opened her arms and her home for Gillian. “I do not!” Alma gasped, outraged. Alma mumbled through her teeth about disobedient rascals as she stood up and filled the tray with new cups. After putting more warm buns in the basket, she took a deep, strengthening breath and left the two in the kitchen, joining her not-too-friendly friends upstairs again. Bathing in the warmth of his smile, Gillian relaxed. It was such a nice, familiar feeling, sitting with him at a kitchen table, chatting. Thirteen years had gone by since the last time, and yet, looking at his open, honest face, she could have sworn it was just the other day. Jennifer Wenn has been a great lover of books all her life and is terrified of the too high TBR-pile on her night stand which looks like it will fall down on her head any night now. When not enjoying life with her husband and their four children on the Swedish west coast, she spends every last precious minute writing.